iPhone 6s comes with a massive upgrade. 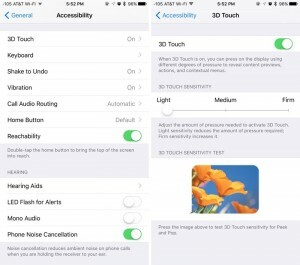 Among the new features, 3D Touch undoubtedly steals the spotlight. It’s a fresh idea that excites iPhone users like nothing we’ve seen before. But before learning how to activate Force Touch on iPhone 6s, let’s look closer at the Force Touch or 3D Touch technology. What Is Force Touch and How Does it Work? Force Touch is simply the name of Apple’s touch-based technology which measures the pressure applied to a touch-sensitive surface, like the screen. This feature can be found on the Apple Watch and now on iPhone 6s, but with an enhanced version and a new level of sensitivity known as 3D Touch. 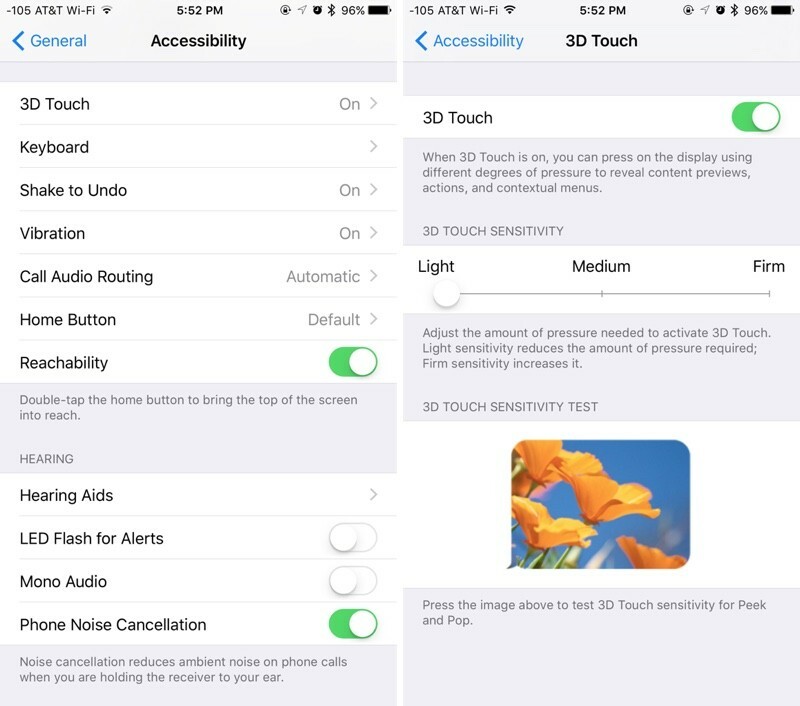 With 3D Touch, your phone can perform a multitude of actions based on how hard or how light you press the screen. Pretty cool, isn’t it? Because 3D Touch is highly sensitive and reacts right away, your experience with your iPhone 6s will improve significantly. Find out more about how to activate Force Touch on iPhone 6s below. Scroll down to the fourth grouping of accessibility options. Apple offers three options: Light, Medium, and Firm. By default, it is set to Medium. Change 3D Touch from Medium to Light – for less pressure or Firm for more pressure. It’s done – you have now activated the Force Touch. The last menu also includes a “3D Touch Sensitivity Test” right below the adjustment. This allows you to immediately test how the adjustment feels for you. We hope you found this quick guide helpful. For more tricks and tips on 3D Touch on iPhone 6s, you can go here or visit other tutorials on our page.